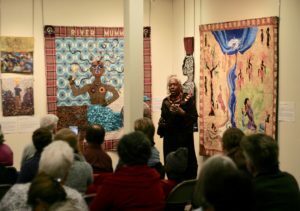 The artists’ reception was held on March 22 and five of the artists were in attendance: Lynn Miller, Donnette Cooper, Joan Blade Johnson, Cathey LaBonte and Allison Wilbur. The timing of the reception was such that it fell during Women’s Week in Lowell (linked in timing to International Women’s Day on March 8), and this connection drew in several visitors who had never been to the museum before. 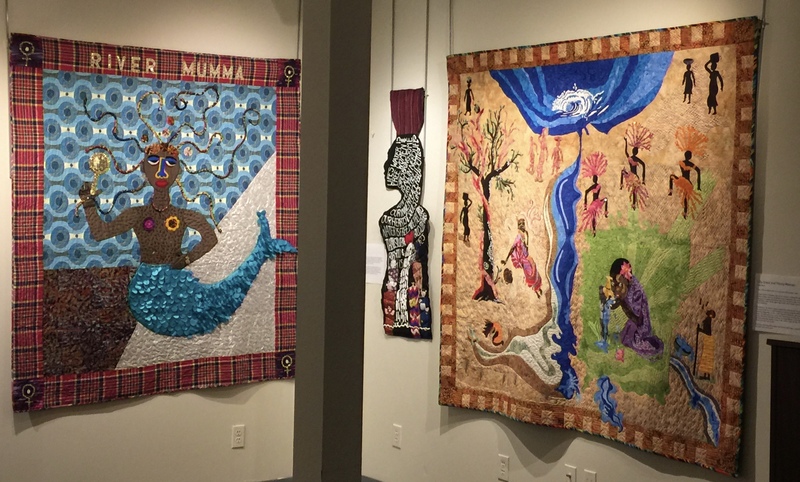 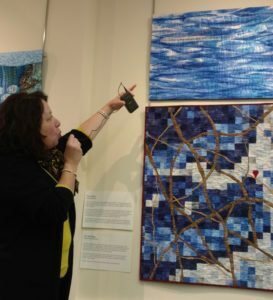 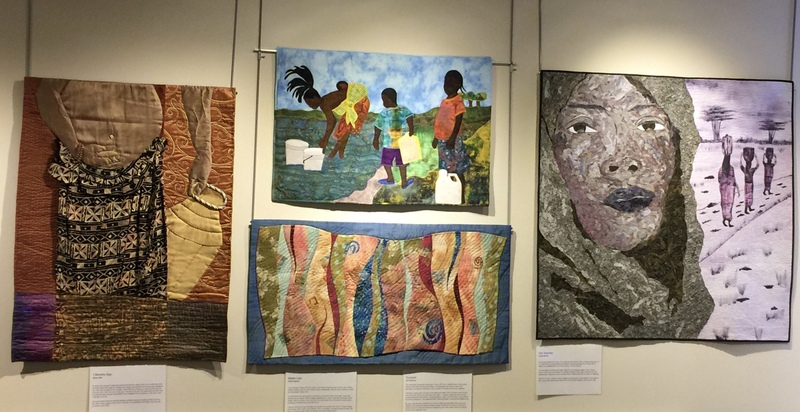 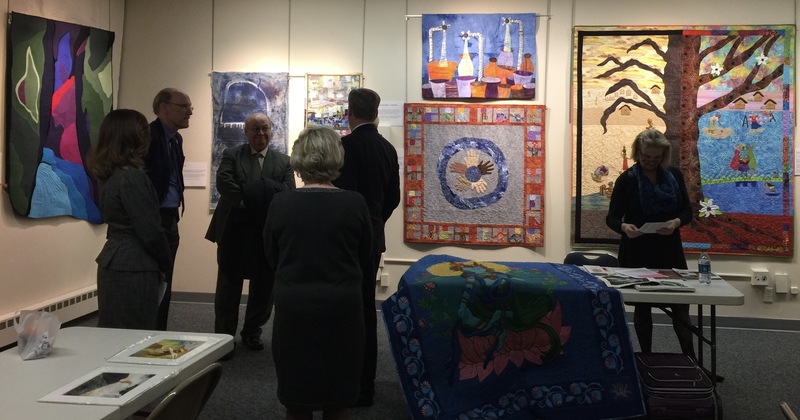 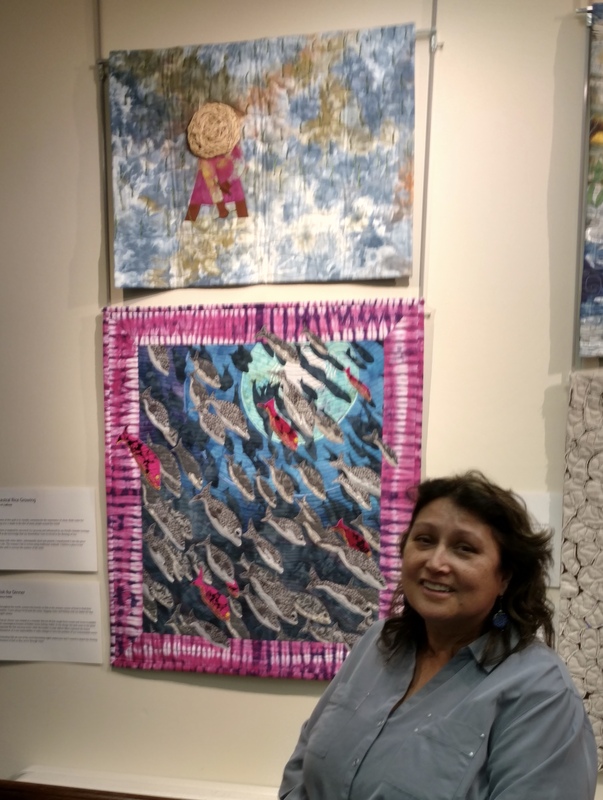 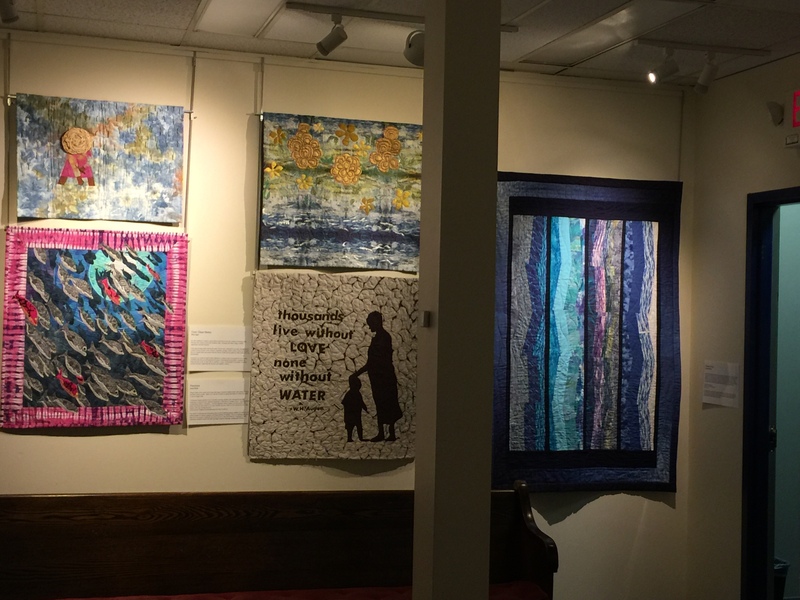 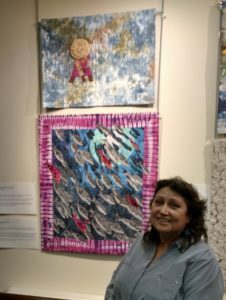 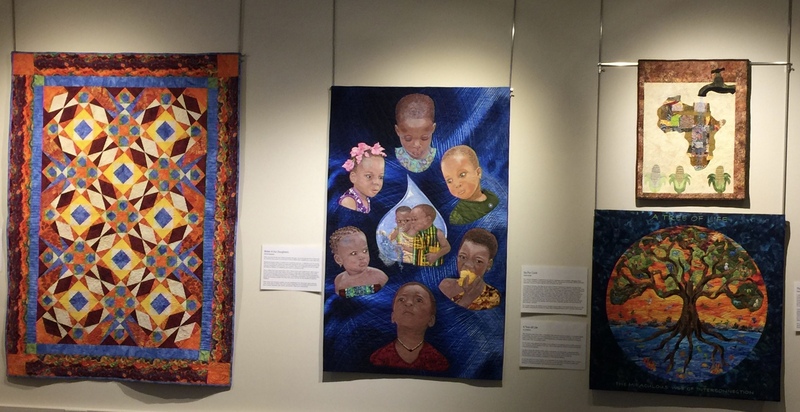 In total, more than 60 people attended the opening, which included explanations of their work and inspiration by all five of the attending quilters. 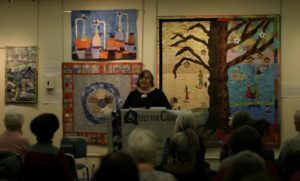 Allison gave the opening remarks, which are linked here. 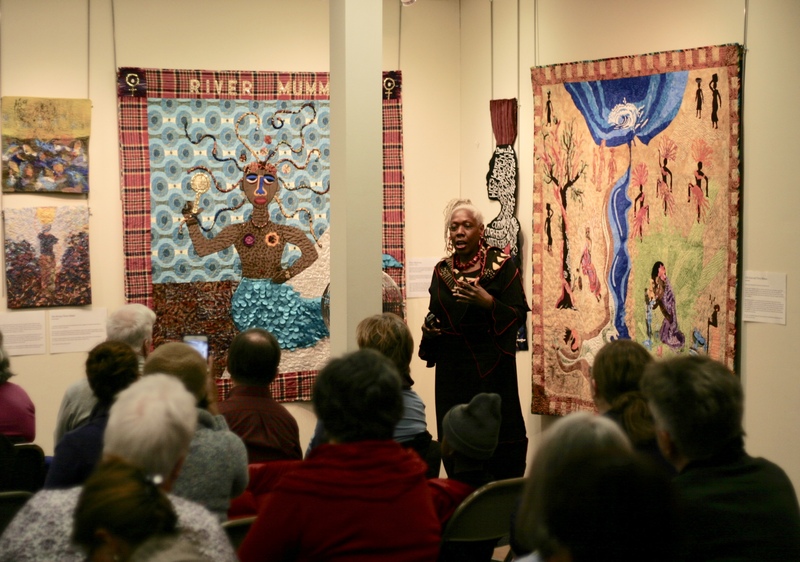 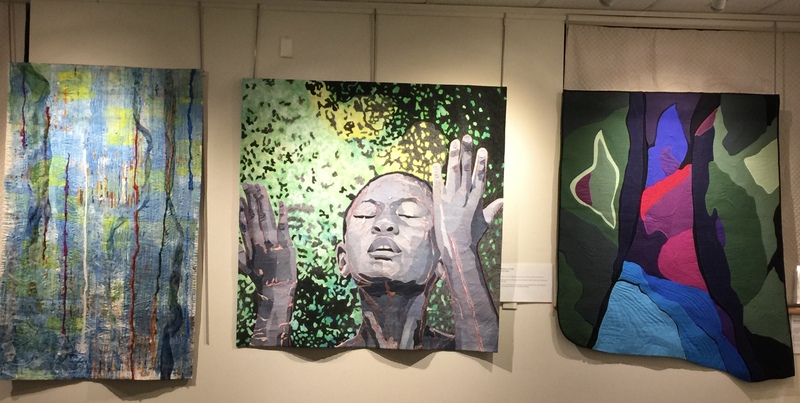 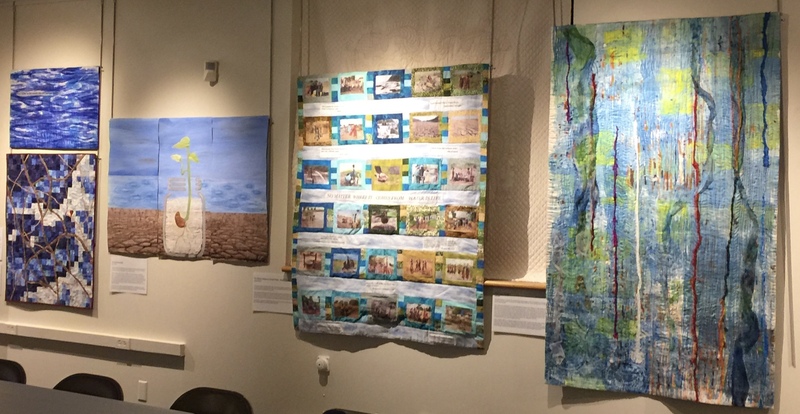 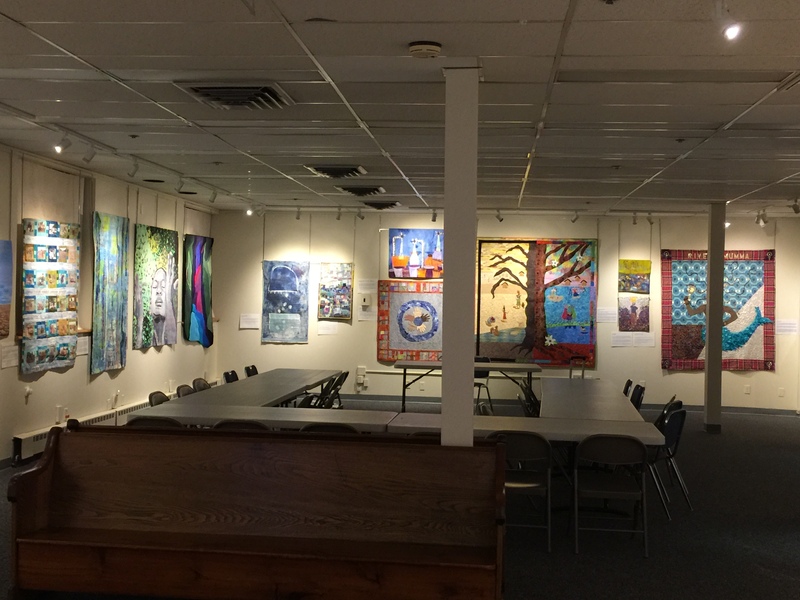 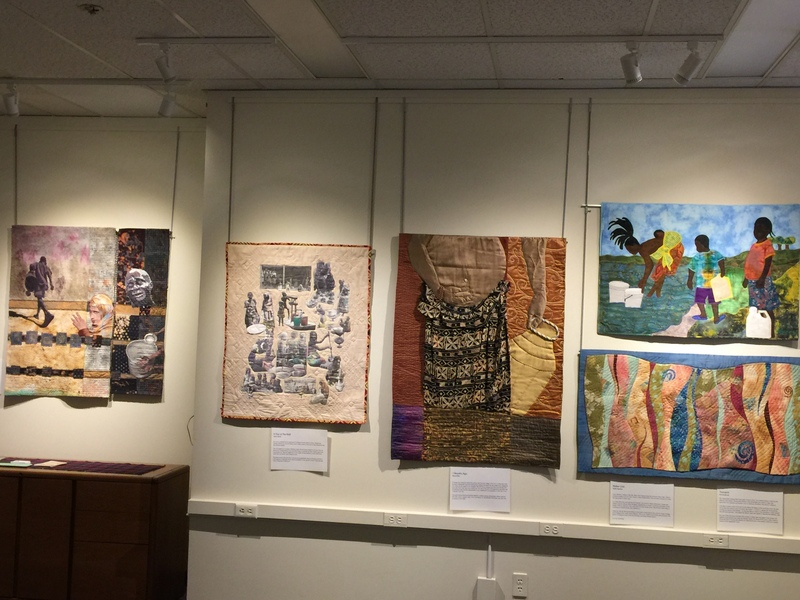 Two Studio Art Quilt Associates (SAQA) state groups (Massachusetts and Rhode Island) met in the gallery on March 22 for their quarterly meeting. Twenty-eight of the 40 artists in Water is Life are members of SAQA and so it was fitting to hold the regional meeting surrounded by the moving art work. 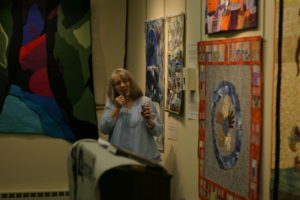 On April 6, Allison Wilbur presented a Brown Bag lunch lecture on Machine Quilting Art Quilts. 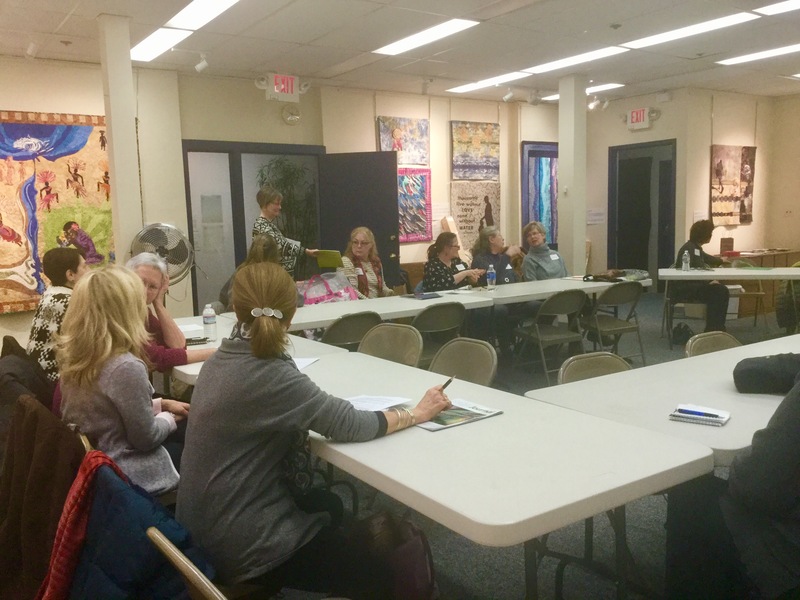 On the same day, the museum director, Nora Burchfield, led a group of high level visitors through the gallery. 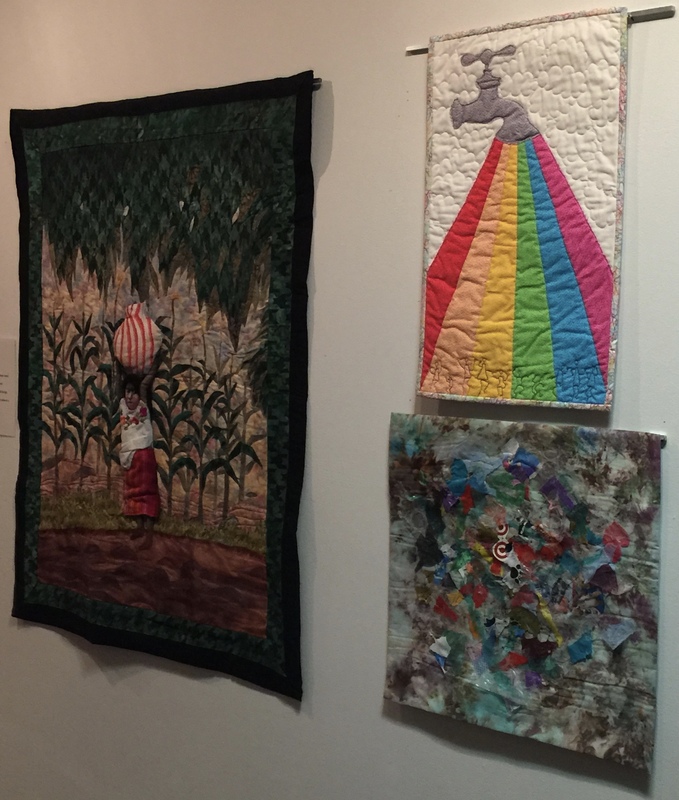 All in all, a wide range of visitors have spent a great deal of time with the exhibit. 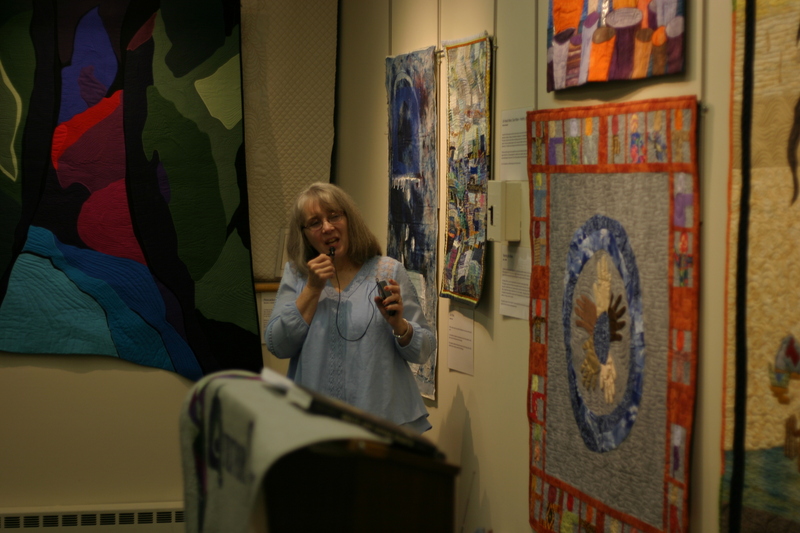 It’s next venue will be the World Quilt Festival in Manchester, New Hampshire, August 18- 20, and we are in discussion with a university in New Jersey and a museum in Minnesota for follow-on shows.